For the first time in over forty years, the five original members of The Mystics are reuniting for two performances. In the late-50's, Phil and Albee Cracolici, George Galfo, Bob Ferrante and Al Contrera formed a group called The Overons. Soon after, they changed their name to The Mystics and, in late-1958, they recorded two songs for Laurie Records, "Adam and Eve" and "Wimoweh". The record company was unhappy with the results and sent songwriters Doc Pomus and Mort Shulman off to write a song for the group but their first tune, "A Teenager in Love", was given to Dion & the Belmonts. Their next song, "Hushabye", became the Mystics first official single and their biggest hit, going to number 20 in 1959. It also became the closing theme for Alan Freed's Saturday night television program. 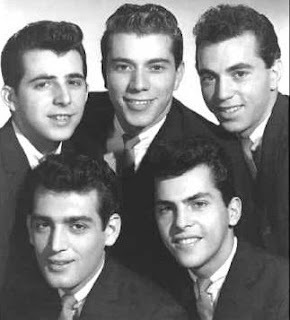 Phil Cracolici left the group in 1960 and was replaced by Paul Simon and, later, Jay Traynor but the group broke up in 1961. The original five members reformed in 1969 and worked the oldies circuit for a couple of years before, once again, going their separate ways. The March 1 show also includes the Duprees, the Reflections, the Elegants, the Charts, the Devotions, the Del-Satins, Little Caesar & the Romans and the Mello-Kings. The March 2 show has the Reflections, the Charts, the Devotions, Little Caesar & the Romans, the Del-Satins, the Excellents, the Mello-Kings and the Mystics.